Truth: Although most people with clinically-diagnosed anorexia are underweight, or have lost a significant amount of weight, people suffering from bulimia, binge eating disorder, and OSFED can be at a normal weight, or even overweight. Also, people with eating disorders usually try and hide their bodies by wearing baggy clothes or dressing differently, so you may not notice visible changes to their weight. Myth:Eating disorders are just an extreme form of dieting. Truth: Unlike dieting, eating disorders aren’t just about losing weight. Eating disorders are psychological problems with serious physical consequences. Myth: Only girls and women have eating disorders. Myth: People choose to have an eating disorder. Truth: No one chooses to have an eating disorder. There is a combination of things that can start an eating disorder, and recovery involves a lot of time and support from family, friends, and eating disorder specialists such as a therapist, nutritionist, and medical provider. Myth:People with anorexia don’t eat anything. Truth: Although some people with anorexia eat very small quantities, some just restrict the types of foods or amounts that they allow themselves to eat. For example, they may only eat foods that are low in fat or calories, or foods that don’t have carbs in them. They might also try to hide their eating disorder and attempt to eat what would appear to be a normal amount when in front of other people. Myth: The media is the cause for all eating disorders. Truth: The media’s constant focus on dieting, losing weight, and being thin can definitely contribute to an unhealthy obsession with food and weight, but whether or not someone develops an eating disorder has a lot to do with other factors, too. Myth: Someone can only have one type of eating disorder. Truth: People with one type of eating disorder can develop symptoms of another eating disorder over time. For example, some people who restrict their food intake may go on to develop binging and/or purging behaviors. Truth: Complete recovery is possible, but it can take a long time. Recovery can take anywhere from months to years because it requires someone to change the way they think and act about food, as well as deal with stress, trauma, abuse, and/or other psychological problems. 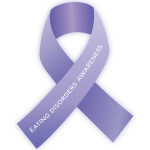 It also takes a team of specialists to address all the issues that led to the eating disorder. Recovery can rarely be done without professional help. Myth: Only white, upper-class teens suffer from eating disorders. Truth: Eating disorders affect all races, ages, and socioeconomic groups. Myth: Eating disorders aren’t very serious. Truth: Eating disorders are serious psychological conditions and can lead to very serious medical problems. Most of these medical problems are a result of malnutrition (not getting enough nutrients) or weight-loss techniques such as vomiting. Eating disorders must be taken seriously and require treatment before they become too severe. Myth: Eating disorders are rare. Truth: One research study showed that 0.3% of US teenagers between the ages of 13-18 suffer from anorexia, 0.9% from bulimia and 1.6% from binge eating disorder (Swanson et al. 2011). An even higher percentage of teens use unhealthy weight control strategies such as an extreme dieting and fasting. Myth: You can never exercise too much. Truth: It is possible to over-exercise, and it can actually be very dangerous. Over-exercising or “compulsive exercising” is actually a form of purging. Compulsive exercisers will make exercise their top priority, feel guilty when they don’t exercise, and use exercise as a way to either “earn” or “burn off” food and exercise an obsessive amount. They might exercise despite being injured or sick, or exercise regardless of weather conditions. Myth: You can never eat too healthy. Truth: When someone becomes obsessed with only eating foods they think are “pure” or “natural,” and limits their food intake to a very narrow selection of “healthy” or “clean” foods, it can lead to what is called “orthorexia” and may be considered a form of OSFED. People with orthorexia often will avoid eating “unhealthy” foods such as those with fats, preservatives, artificial ingredients, and/or processed sugar. By severely limiting the types of foods they eat, they may not be getting essential nutrients such as calcium and fats, which can lead to malnutrition.